A VERY Special Edition of Customer of the Week! 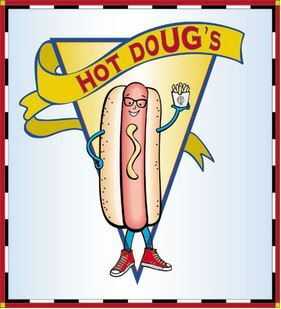 Put your hands together, my friends, and help me welcome the one…the only…HOT DOUG!!!! Hot Doug is so suave (you thought I was going to say hot!) in his new Anne Et Valentine Fame frame. Hot Doug is well known ’round these parts for serving up delicious salty encased meats (hot dogs!) for the past 13 years at the Chi-town institution, Hot Doug’s. You can’t get the dogs anymore, but you CAN still get a T-Shirt!!! He closed up shop in October, but you can still outfit your friends and family for your Hot Doug’s fan club at his website. Don’t worry, he isn’t going to retire and disappear (though he may decide to take a long nap) and will be pursuing other exciting opportunities soon – maybe a charity, something that gives back to Chicago…we think he should persue an acting career! Chi-Town Showdown: George Wendt-Jitsu vs Hot Doug-Fu from Wolf Point Media on Vimeo. 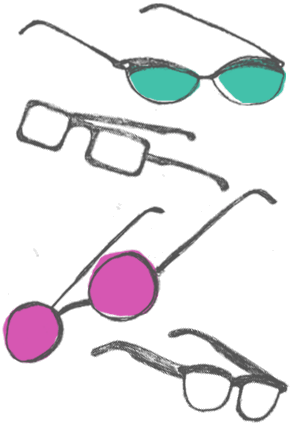 Whatever he decides, Doug is ready to for his next adventure in his cool new green and black Anne Et Valentin Fame frames. Doug’s career in encased-meats might be over, but Fame will help him get through his days! Known as a friendly guy, Doug made friends with people all over the country (a few weeks ago he ran into a guy who recognized him when he was on an RV trip down south!) He even gave our Queen of Specs a free veggie dog one day when she took her princesses out for a bite and forgot her wallet. Awwe! 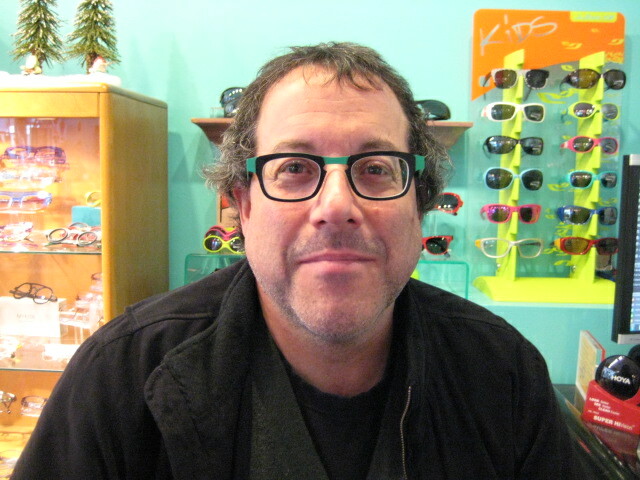 So, my friends, if you see Hot Doug around, say hi and make sure you compliment him on his new specs. And, as Doug said when he left Eye Spy the other day, Happy Cholidays!